The default textures in Minecraft leave something to be desired. Minecraft, by nature, looks like an old pixelated game. The textures are low-res by design. Some players love ‘em, while others want a higher level of quality. The Better Than Default Resource Pack aims to improve on the vanilla Minecraft textures without altering them in a significant way. Instead of flipping the game on its head and rethinking every texture in the game, the Better Than Default Resource Pack wants to simply make the parts of the game we know and love better. 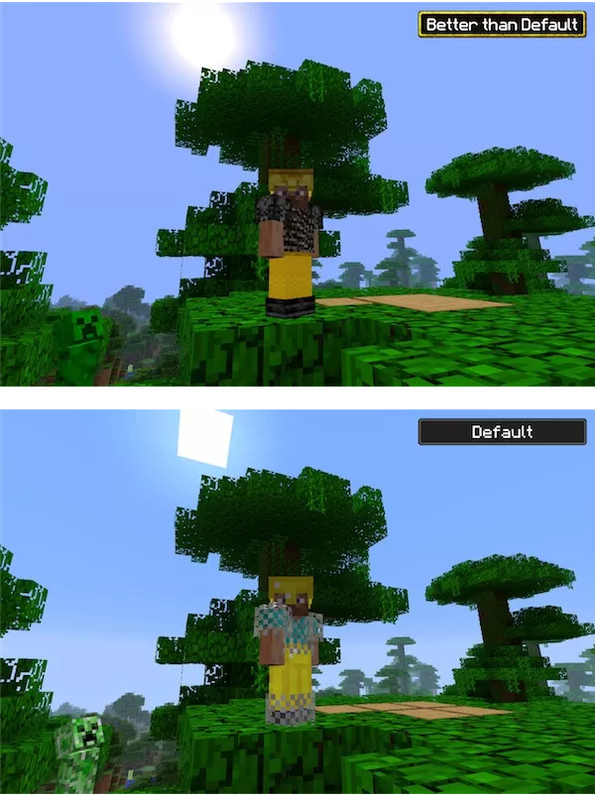 In other words, this texture pack will not change a game’s overall appearance, but it will make Minecraft look better and more realistic in several ways, which is obviously why this texture pack is called ‘Better Than Default’. Players have the option to install as many parts of this resource pack as they want. If you just want new textures and not new sounds, for example, then you can easily do that. 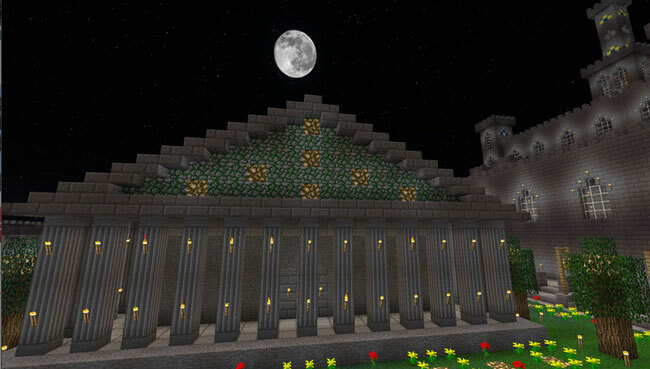 The goal of this resource was to improve the weak parts of Minecraft. Instead of replacing all sounds in the game, for example, this resource pack simply replaces the most annoying in-game sounds. If you’re looking for a resource pack that improves the game in a lot of ways while still maintaining the look and feel of vanilla Minecraft, then you won’t find too many resource packs better than Better Than Default. Step 4) Copy the entire ‘Better Than Default’ .zip file to the .minecraft/resourcepacks folder (you do not need to unzip this file). Step 6) Go to Options > Resource Packs and choose the Better than Default pack, then click Done and enjoy!